OK, so full disclosure I did NOT invent this delicious salad. But one of my favorite JC restaurants, Hamilton Inn, did. I just became obsessed with it and had to come up with a way to make it my own. 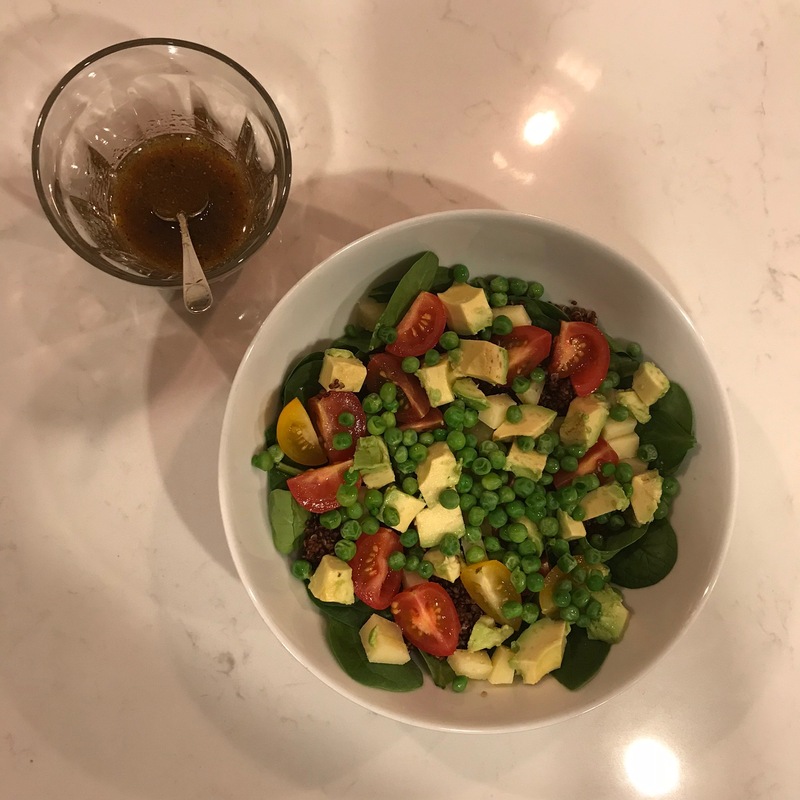 That meant substituting more calorie -friendly vinaigrette as opposed to Green Goddess dressing, as well as keeping a close eye on portion control. 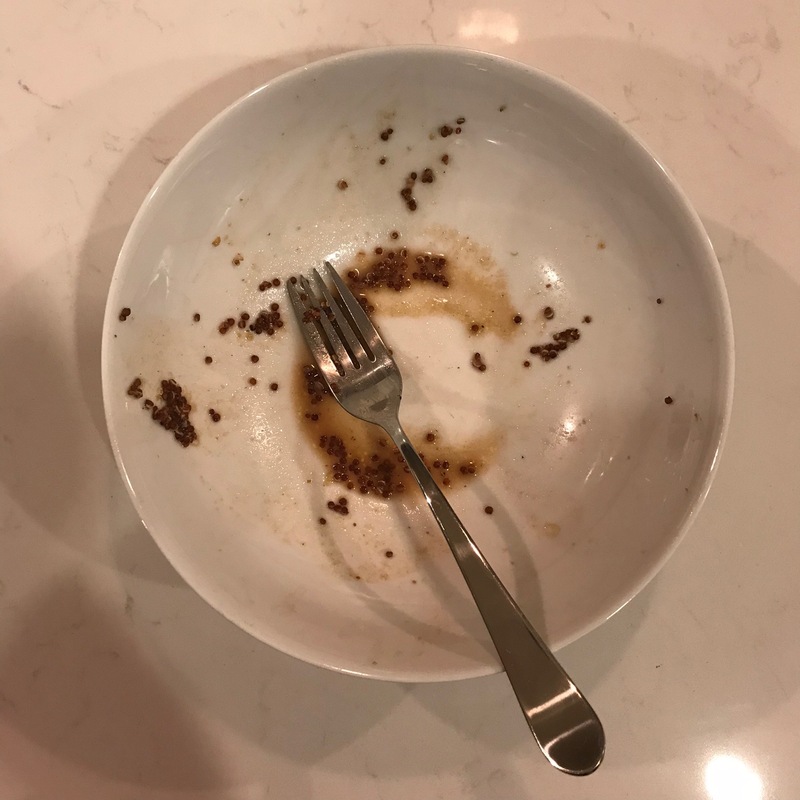 I promise you this is the perfect serving size for one. 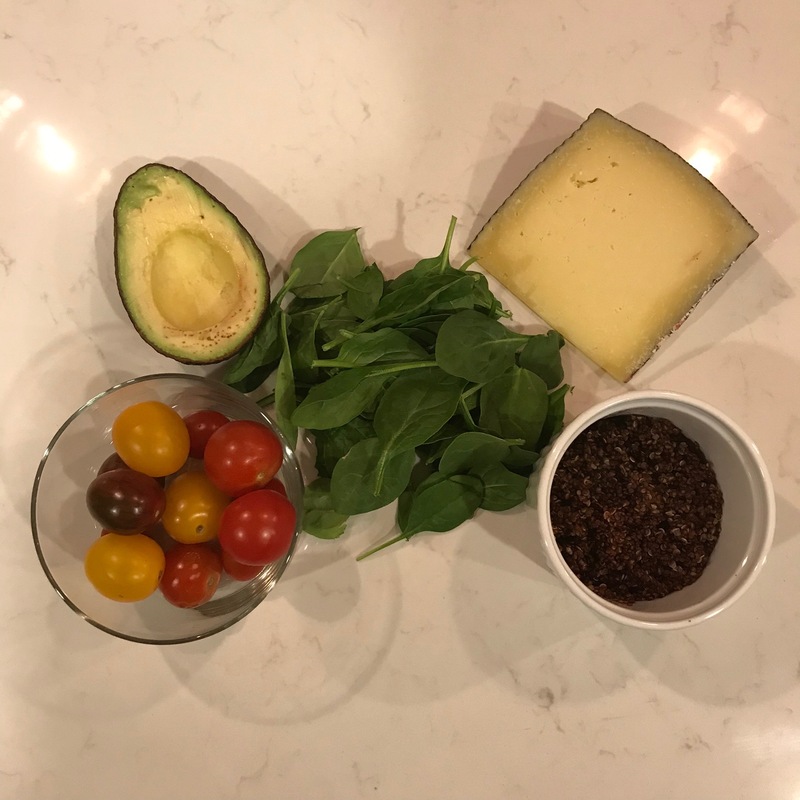 But this grain bowl salad is so delicious you may want to multiply the proportions and serve it at your next dinner party or brunch. And if you do, you have to let me know what everyone says! Most importantly, what you think!! Basically just layer in your ingredients. I start with the spinach, then add the quinoa, then sprinkle the rest of the ingredients around. Whisk together, then adjust to your taste. What a wonderful medley of textures! Hope you’ll try it! And if you do, if you like it as much as I do!! And love the empty bowl photo! I put some bean sprouts in for an extra crunch!